Let me put it this way - using "cheat dice" at ANY gaming table I'm at as a player or a DM is going to get you removed from the table - your choice to be compliant or not. 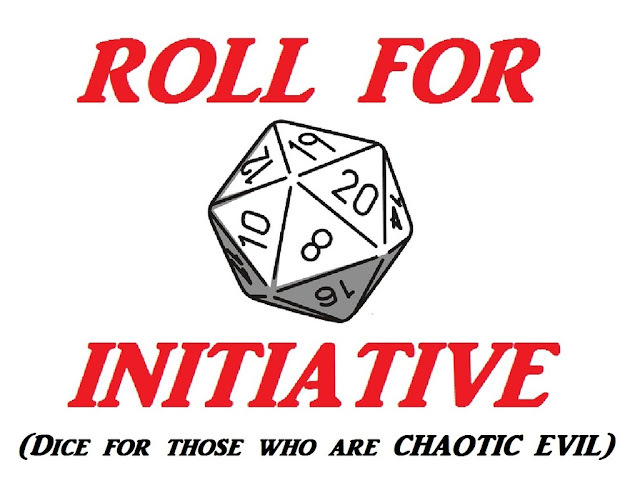 Are you wanting to put the roll of the dice in your favor during your next role-playing session? I’ve come up with the idea to create a custom 20 sided cheater dice. This dice will have the numbers of 20, 19 and 18 appear twice on each dice. These double numbers will replace the numbers of 1, 2 and 3. Each double number will be on the opposite side of its matching number. They will be made of polymer and will be in the standard size of 20mm. It’s going to be nearly impossible to discover the deception without very careful examination of the dice. I’ve contacted a dice manufacture with a great reputation to inquire about making the dice. They understood my concept and noted that they have never seen a dice produced like my idea. In my own search I have found only one other d20 cheater dice in which the number 1 is replaced with a second number 20 (mine has a much higher chance of obtaining an 18 or above). The fewest amount that the manufacture is willing to make is 1000 dice. To be honest, I don’t know if there are 1000 people out there wanting one of these dice and that is why I created this Kick Starter project. If you feel the need to cheat to enjoy gaming, you really shouldn't be gaming. Sure, it could be a joke. Doubt it. Tip of the hat to Tony T for the heads ups. As Billy Connolly once said, "Hanging's too good for you people! It's a good kick in the arse you need, you know what I mean?" Instant bannination for life, you use one of these things at my table. he also has an Amazon and eBay store, as well as a website dedicated to his sporks. There's a part of me...the dice collector in me...that wouldn't mind one FOR THE COLLECTION. Because, hey...dice. But the player and the DM in me? I'm with the rest of you. Use it and face banning. Use it and expect banning. Period. Oh I have all sorts of odd dice in my collection. Including a pair of d6's, one of which is all 5's, and the other is all 2's and 6's. Plus a matching set of normal ones, of course. Ahem. "Including a pair of d6's, one of which is all 5's, and the other is all 2's and 6's. Plus a matching set of normal ones, of course." I have those too - they're for cheating at craps, of course. (I bought mine at Disney World.) They're not very subtle though; the all-five die is particularly obviously to even casual examination. I'd be surprised if this is ever an issue, because I strongly suspect this won't even fund, let alone deliver. However, on the off-chance that it does, I agree with the general "not at my table" sentiment. I bet I could still roll a 1 on that die. I would freaking *love* for someone to come sit at my game-table with dice like these. Some punk came to me with no 1s, 2s, or 3s, on his dice and extra 18s, 19s,and 20s? He'd be royally _boned_. LOL. I own the aforementioned extra 20 instead of the 1 die. A couple times I've let a deserving player roll it on a short-term basis in one of my games. I suppose, this die would be even "cooler", though still more of a novelty or collectors item than anything else. I'm not sure what I would do if a player showed up with one of these and started rolling it without my knowledge. As a practitioner of the Left Hand Path, I'd have to admire his chaotic evil balls, but might make him forfeit the die in order to keep playing at my table. This was a much needed laugh yesterday...on the serious note, Sure, let's introduce new younger people to our game and oh, by the way, we're going to cheat...come on son, cheat your way through life...it's the only way...(insert your own sarcasm). You'd pretty much out yourself as a PoS if you actually tried to use this at any table. But just having it as an oddity or conversation piece would be neat. I own the same dice as Venger and have done likewise, use it as a reward or boon in game. I've also let one player use it who is absolutely notorious for rolling 1s, more as a joke pointing out his bad rolling than anything. We had a cheater die at our table. One of the d20 with two 20s. It was used as a reward. Come up with a particularly awesome idea, or find yourself on a ridiculous streak of luck that everyone wants to see keep going? You get to roll the cheater die. We all knew what it was and what it looked like, so no one was actually cheating with it. Just like fudging rolls in general, this is just another tool for the tool box. I had a player in my old group bring one in (with only an extra 20 over a 1), to my knowledge he never used it in game. But if he did, I don't know what I'd do. Having one could be fun, as long as the playing field is fair (everyone had access to it.) Ultimately it's a game, and if you cheat at games, especially friendly games, you're just cheating yourself. And a liar. White Star Goes Gold at RPGNow - Woot! Does Anybody Do "True20" These Days?